ROAD TOWN, Tortola, VI- A multi-year entry permit will now be granted to eligible individuals effective immediately. Government-contracted employees, employees of statutory bodies and persons who have indefinite work permit exemption and have lived in the Territory consistently for five years or more will be eligible for a multi-year entry permit. 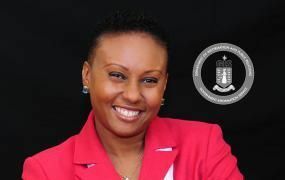 Acting Chief Immigration Officer, Mrs Geraldine Ritter-Freeman said the multi-year entry permit will be granted in three year intervals, as opposed to an annual permit, and will be given after the expiry date of the individuals’ present entry permit. The cost of the three-year permit will initially be $75, as per the immigration regulations. However, the cost is likely to change pending the proposed increase in immigration fees slated for this year. The granting of multi-year entry permits is in keeping with regional and international immigration reform initiatives. For more information, persons should contact the Immigration Department at 468-3701 ext. 4700 or 4705. Why they selling out the country? The expats came in as labourer to do a job and was paid. I am at a lost as to what else is owed these people. Yes hurricane Irma opened my eyes to the true nature of many of these expats...we need to carefully choose who we let into our country. It is call progress. The BVIs can longer bury its "head" in the sand and pretend that it could survive on its own. Hurricane Irma has taught us a lesson that most people are afraid to accept. Yes it is true that loads of Nationals went to other counries to better their condition but those who went to the Dominican Republic was only allowed to bring back a cutlass and a coogar bag nothing else when they return. Now everybody telling us how to run our country. Progress... Really. Look at the eligibility for your three year entry permit. It's discriminatory. It is progress Probably you have not experienced the late 70s, 80s and even 90s let me give you one hint or two. (1) An expat woman who became pregnant here had to leave the territory. Many had to hide from lmmigration (2) Many were deported on simple grounds when a BVI Islander complained that the expat man/woman was having "interfering" with their husbands/wives. No question asked you the expat was out of here. I could say more but i wouldn't have the time. So when I talked about progress it is. Thanks to the powers that be who are working to bring the BVI out of the "dark age" BV Islanders are becoming more and more educated everymore. You can no longer keep the veil over their eyes. The 70's 80's an 90's is not the issue here. That is a pass issue that the BVI has dealt with and moved on from. I could say more too but stick to the issue. Revisit the eligibility and you will see that many expats who contribute are excluded at this time. This is what happens when you put a square peg in a round hole. Time for NDP place the people trained for the job in their right positions and not their friends who will do their wrong to please them. This country does not belong to NDP and friends.This country is for British Virgin Islanders. Everyone one has to pay bills and eat. More people who can help this country have run from the country under NDP than any other government. The reason is the unfair practices of this government. No accountability. Wasteful spending. A commission of inquiry is badly needed. They and friends are the only ones benefitting from taxpayers money while they save their own. I disagree. For the first time in donkey years we are actually seeing and hearing some initiatives coming out of the Department. Whether you agree or disagree with what is being done, change was needed and she is making a positive contribution. Kudos to her and the staff that continues to strive under substandard working conditions. Disregard the empty barrels and their noise and stay focus. More has been done in the one year under her leadership than in the past 10 years. Stop being bias. All this over an entry permit? You people seriously have issues... it’s not like government handing out residents and belongers. You still collecting a fee, you still screening people coming in and you still having them obtain an entry permit. What does this have to do with selling out the country or this lady not qualified to do her job? All of you should be afraid of who will be renting your nasty apartments or cleaning up after you when all the expats are gone and can’t return. Proud people, but stick in areas where in hurts or seriously stupid un-educated people talking crap. their snobby stuck up attitudes to the innocent. Why don't you go die? Good night. Die we all will one day but we have walking dead yes spirit dead people trodding the entire earth in the scheme of thangs. Seize the time.